Chania is well connected to Athens (Piraeus) with frequent ferries operating throughout the year. Two ferries operate everyday from the port of Chania to the port of Piraeus, usually departing at night. The departure time varies from 22.00 to 23.59 and the duration of the overnight journey ranges from 7 to 9 hours depending on the ferry company. During the summer months there is also a morning ferry departing from Chania usually 5 days a week. The average ticket price can be approximately €38 - €39 for a standard deck / lounge seat, but since the trip is long, we suggest that you consider the Bed Cabin option. Ferry operators offer different types of Bed Cabins, with variations in structure and price. The port of Chania is one of the largest ports in Crete and is frequently connected to Athens (Piraeus) with ferries throughout the year. The duration of the ferry trip between Chania and Piraeus is from 7h and 30 minutes to 9 hours, depending on the ferry company. Since the duration of the trip from Chania to Athens (Piraeus) is long and many of the ferry journeys are overnight, we suggest that you book a Bed Cabin for a more comfortable trip. Each ferry company offers different price options according to the size of the cabin and the number of beds. Search ferryhopper and compare all available cabin options and prices. Why choose a Bed Cabin for your ferry trip? The journey from Chania to Piraeus lasts from 7 to 9 hours so choosing a Bed Cabin is the best option for a comfortable ferry trip. We suggest that you consider the different options and bed arrangements that fit your needs. Ferry operators also usually offer pet-in cabins which allows you to spend the ferry trip with your favourite pets. Check all possible cabin options and different prices at ferryhopper.com. Chania is connected daily to Athens (Piraeus) with two overnight ferry routes. During the summer season, there is an increased tourist influx so an additional ferry is available departing in morning hours usually 5 days a week. The port of Chania is located in the area of Souda, 7km from the city centre and it gets very busy in the summer months. The roads around the port might get dense with traffic when a ferry departs or arrives so keep in mind when planning your transport to the port. Tickets from Chania to Piraeus sell out fast, particularly during high-season. If you are planning to travel from Chania to Athens in the peak period of late July and early August, we suggest that you book your tickets in advance. Travelling with a bed cabin is the most comfortable option for a long ferry trip like the one from Chania to Athens. You should consider booking your cabin tickets 3 to 4 months before you travel as the bed cabin options are very popular and sell out fast particularly in the summer season. Search for cabin prices and availability at ferryhopper.com. 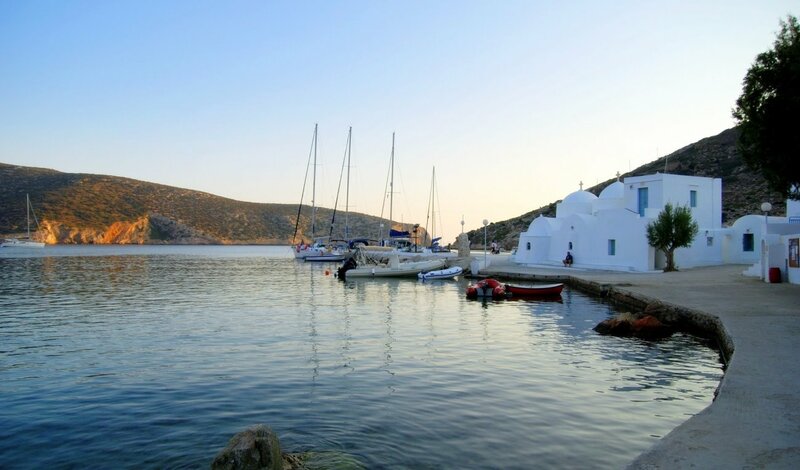 If you are travelling around Chania or road-tripping in Crete, you could consider other ports that might be convenient to you, like Heraklion or Rethymno.